A Softub Spa is the durable, lightweight, revolutionary hot tub that meets your need for true portability and energy efficiency. Its ingenious heat recovery system keeps water at an ideal temperature using only your standard 220V outlet! Softub heats without a heater! 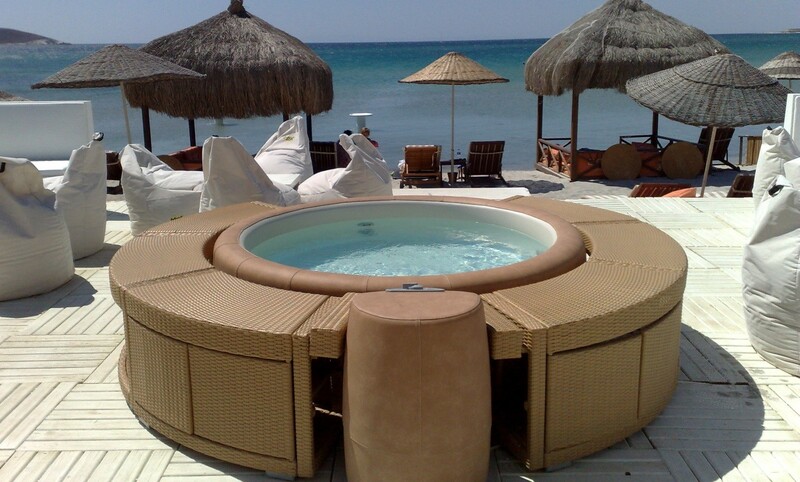 The heat generated by the Softub motor is used to warm the water to the desired temperature. Softub can be assembled in the location of your choice and can be easily moved from indoors to outdoors – the most portable hot tub ever! The material is a completely weather-proof – marine grade vinyl for superior weather resistance and durability. The unique Whisper™ technology means you can enjoy the quiet ambiance of nature around you. The Patented Ozone System oxidizes contaminants in the water and lets you use fewer chemicals – while keeping your water sparkling clean. 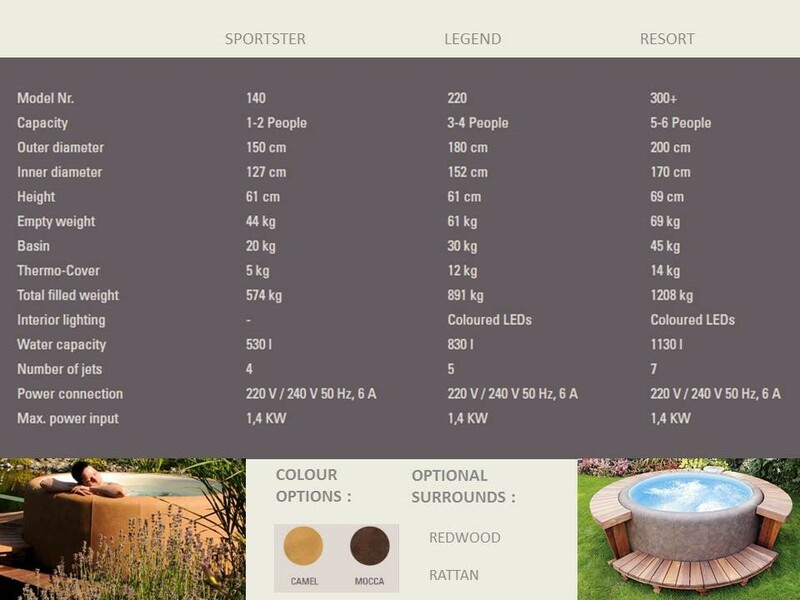 The Softub comes in three sizes – 2, 4 and 6 seaters with a choice of camel or mocca colours.